In high school I worked, on average, twenty-five hours per week at the Staples Copy & Print Center in town. 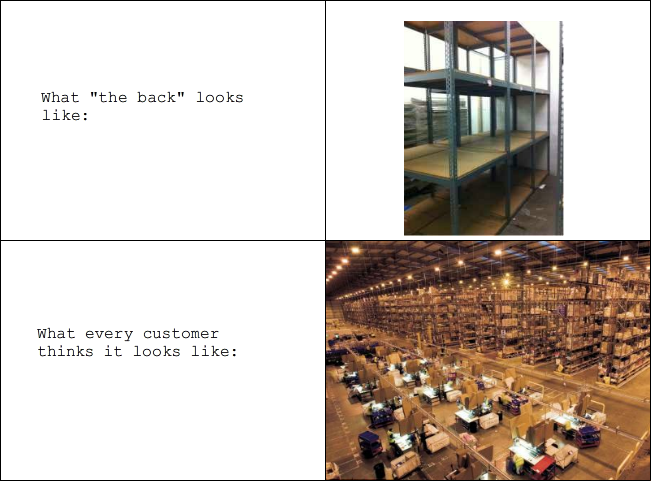 It was a cushy job in large part because roaming Office Supplies was the worst; I remember how satisfied customers were when you would “check the back” for a missing item. I’d just go for a drink of water and check my phone. If it’s not on the shelf or above the aisle, we don’t have it. During my senior year, school administrators floated the idea of heterogeneously grouping otherwise tracked middle-school classes. Translation: mixing honors and college-prep students together. I used a slow night at work to write an op-ed for the town newspaper outlining why it was a terrible idea. Honors students like me shouldn’t be slowed down by kids from “lower” classes. It was a pretty angsty piece. The Westerly Sun published it, which is unfortunate, because I was wrong. In the past two weeks, most of STEM 10 has been double-blocked math. Two hours straight of polynomial division, factoring trinomials, and rules of rational exponents – topics on the SAT that don’t fit into our projects. I made traditional math worksheets with problems of varying difficulty. Students of all math levels worked side-by-side. Most math teachers agree that having students successfully explain a topic to each other improves both students’ understanding. It’s why we ask them to re-explain instructions to the group, pair-share, or put them in teams near a white board. It’s how I got through college Calculus; I had a D until I went to the university’s help center and a tutor made me explain concepts back to him. (I passed with a B.) Some parents have a hard time believing our mixed groups don’t significantly slow down honors students. Perhaps we should film perfectly capable Algebra 2A students understanding and explaining topics to their confused “honors” peers. What makes an honors class? Traditionally in math, it’s a combination of pace and difficulty. Cram in two extra units, have students memorize more formulas, and make the tests longer and questions harder. So why can’t honors students and college-prep students share a room? Can they not learn from each other? They can and they do. My assessments differentiate between math levels. I do periodically pull the honors students for their extra units. At our school, assessments count for more in an honors class and less in a class with more support. The course labels have a role at the moment and colleges don’t want us to ditch them anyway. But separating students into different rooms by level is just another byproduct of minimizing cost and maximizing efficiency. There is peer-reviewed research to suggest homogeneous grouping disadvantages medium/low ability students. The marginal gains by grouping by ability for higher ability students are outweighed by the harm it does overall. Differentiating for students in a tracked classroom is hard. Differentiating for a class of mixed ability students in our rooms can be even tougher. But spending the time to meet the needs of a wider range of students is worth the time and effort because we can avoid the unintended consequences of tracking. Seventeen-year-old me did not understand this. I had only my experience to draw on. I hope experiencing InLab will provide my students with a better perspective than I had at their age. Here’s some pictures of the introduction to electricity this week!